New York-based architecture firm REX has been chosen to design a performing arts centre at the World Trade Center site in Lower Manhattan, replacing Frank Gehry's previous stacked-box design. REX beat European studios Henning Larsen Architects and UNStudio for the commission, which is one of the last pieces of the Daniel Libeskind-designed masterplan for the World Trade Center site. "We wanted to create something that is simple, elegant and timeless," REX founder Joshua Prince-Ramus told the New York Times. "We've been able to reduce the project to the essence of what it needs to be." Gehry was originally tapped to design the 80,000-square-foot (7,432 square metres) multi-use cultural centre, called The Performing Arts Center at the World Trade Center (PAC). His $400 million (£263 million) design was officially dropped in 2014 after almost 10 years of development, with the architect declaring "I don't want to go where I'm not wanted". The new budget for the project is currently set at $200 million (£131.6 million), half of what Gehry's design was projected to cost. The budget could increase if additional funds are raised. The centre will be built over train lines, ventilation systems, security and vehicle access points, and a guard-dog kennel. REX's ability to work with these complications pushed their proposal ahead of their competitors, according to the centre's director Maggie Boepple. "When I saw Josh's presentation of the model, I thought, 'he's got it, he's just got it'," she told Dezeen. The REX design for the centre will be unveiled in the spring of 2016. 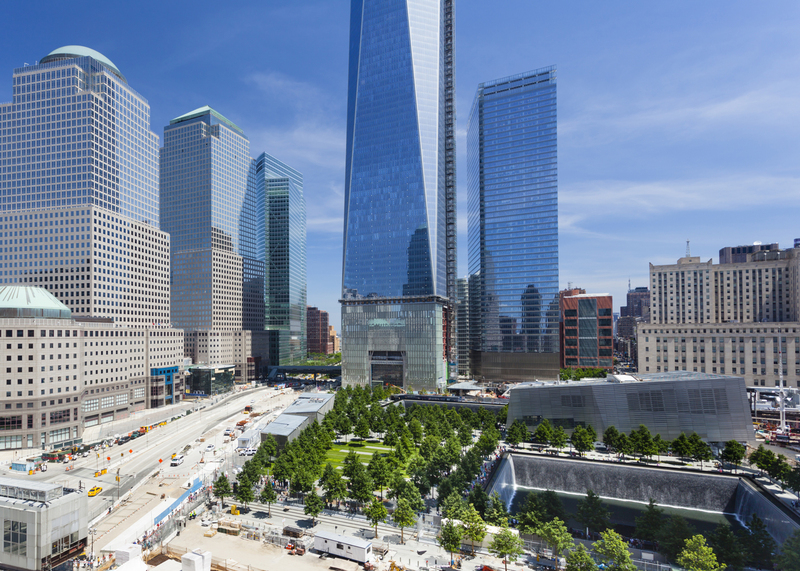 The Lower Manhattan Development Corporation (LMDC) has allotted $99 million (£6.5 million) for the project, the remainder will be raised privately. "The selection of REX and the LMDC's renewed commitment are critical milestones in our collective effort to create a vibrant new cultural and community anchor for all of Lower Manhattan," said chairman of the centre John Zuccotti. "We are now two important steps closer to completing the World Trade Center and fully realising our vision of Lower Manhattan as the world's most dynamic, 24/7 urban community," he added. "We are honoured to design such a meaningful project on a site imbued with deep significance for the people of New York," said Prince-Ramus in a statement. "I am confident that our collaboration with PAC's exceptional team will help create a building that embodies and inspires the many dimensions of creative expression." REX was founded in 2006 by Prince-Ramus, formerly the head of OMA's New York office. The firm has completed the Vakko Fashion Center in Istanbul, and is currently re-skinning a massive Brutalist office block on Manhattan's west side. Davis Brody Bond will serve as executive architects on the performing arts project. The firm also designed the underground memorial museum on the site, which has an entrance pavilion designed by Snøhetta. The venue will host dance, theatre, music and film spaces, though its only tenant group will be the annual Tribeca Film Festival. The centre will sit to one side of the 16-acre (6.5 hectares) World Trade Center site in Lower Manhattan, with the completed One World Trade Center tower by Skidmore, Owings & Merrill on one side. It isn't the only project that has hit unexpected delays. The World Trade Center Transportation Hub, designed by Spanish architect Santiago Calatrava, has been in development since 2004 and is due to finally open next year. This month, work on another skyscraper for the site, designed by UK firm Rogers Stirk Harbour, caused a leak in the roof of an underground portion of the station. Earlier this year, Norman Foster was replaced by BIG as the designer of Two World Trade Center tower, which was already under construction.